Yeah, life has been a roller-coaster lately. And Maggie was right. It wasn’t the day, the time, or the place that was of import. It was that I was able to chill-ax with my partner in wine (and life) crime and enjoy a solid Mourvedre, a delicious meal and, at least for a moment, forget about the twist and turns to come. Thanks, Maggie. You be a wiiiiiise woman. 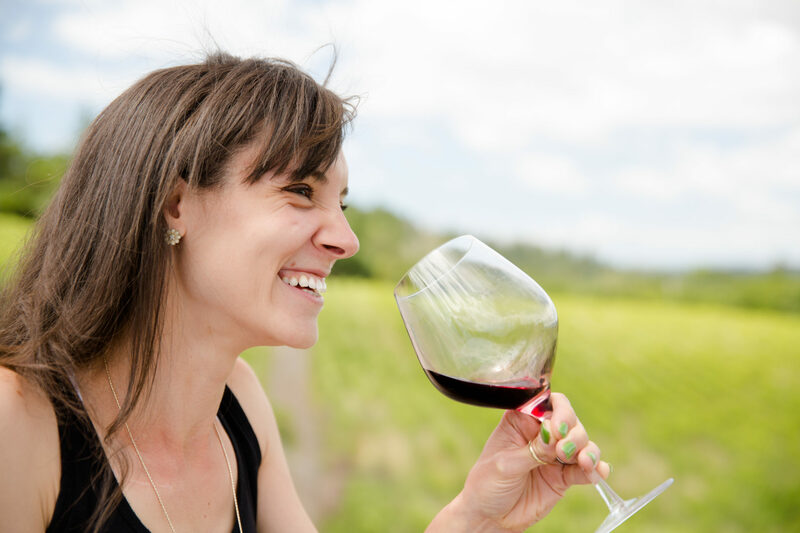 Flavor Profile: Pop the cork of Alta Colina’s Mourvedre to be greeted by an intimidatingly inky cork and brooding scents of rare meat, pepper corn, and au jus. Remind yourself how fun and friendly Bob and Maggie Tillman are and find the faith to pour your first glass. It’s a Mourvedre the very definition of maroon: dark, impenetrable, viscous from the core on out to its ruby red perimeter. Aromas are immediate as wine flows from bottle to glass, and it’s another deep breath of sweet relief as your breathe in those initial scents of a beautiful basket of freshly picked berries, red cherries, mixed with chocolate and hints of basil — so in contrast with the wine’s visual. Swirl and find additional scents of fresh wood, a seaweed-like greenery, and a solid line of acidity piercing through it all. The palate of Alta Colina’s Mourvedre is full, soft, plush with cottony tannins. The acidity is a present, but mellow ride from start to finish. The finish is simultaneously solid, yet lingering, as tannins coat the tongue, taking over every bud, but then slowly fading away — fading away to nothing. Dominant flavors are of black cherry, black plum, oak wood, chocolate, eucalyptus, and a hint of anise. 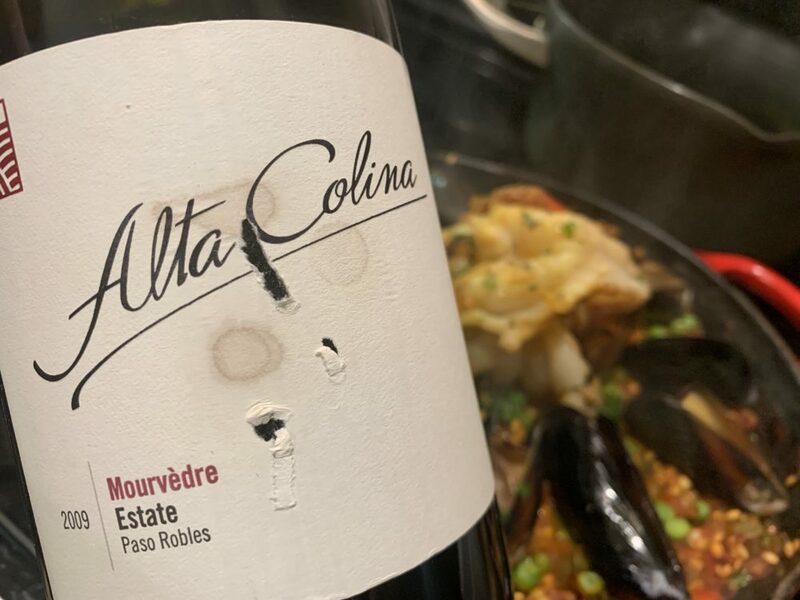 Food Pairing:I paired the Alta Colina 2009 Mourvedre with a seafood paella. And yes, every bite and every sip walked perfectly hand-in-hand. The overall gentleness of the wine calmed down the spicier notes of the dish, while it’s bright fruit aromas tamed the rustic wildness and innate sea-saltiness of the shellfish. Furthermore, this wine developed slowly over the course of the evening: the tannins became more seamlessly integrated, the palate became more round, and those fruits became so voluptuous and juicy. I wish I had more than just this one bottle. I would drink it again and again and again…. More Info: I received the 2009 Alta Colina Mourvedre as a gift from Maggie and Bob. (Cheers, you two!) According to wine-searcher.com, Alta Colina Mourvedre was last available in January 2018, with an average price of $42. For more information about Alta Colina, their wines, and to purchase available wines directly, please visit the Alta Colina website. BriscoeBites officially accepts samples as well as conducts on-site and online interviews. Want to have your wine, winery or tasting room featured? Please visit the Sample Policy page where you can contact me directly. Cheers!